Medieval times were a violent period of history from around 6th to 16th century AD. It began with the fall of the Roman Empire and merged into the Renaissance and the Age of Discovery. Medieval weapons evolved significantly during this time. Factions would attempt to create better weapons to outdo their enemies. As armour got better new medieval weapons had to be created to counteract this. This is a list of 10 deadliest medieval weapons. The Basket-hilted sword is a type of sword significant for it’s basket shaped guard that serves to defend the hand from incoming blows. Variations of the broadsword include, Schiavona, Mortuary Sword, Sinclair Hilt, Walloon Sword, and the Scottish broadsword. The broadsword was primarily used by soldiers for warfare, but also town guardsmen for keeping the peace. 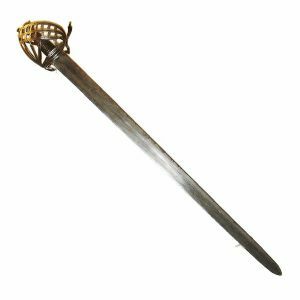 It was common for civilians to carry rapiers, but the sturdy broadsword was held up well against these. 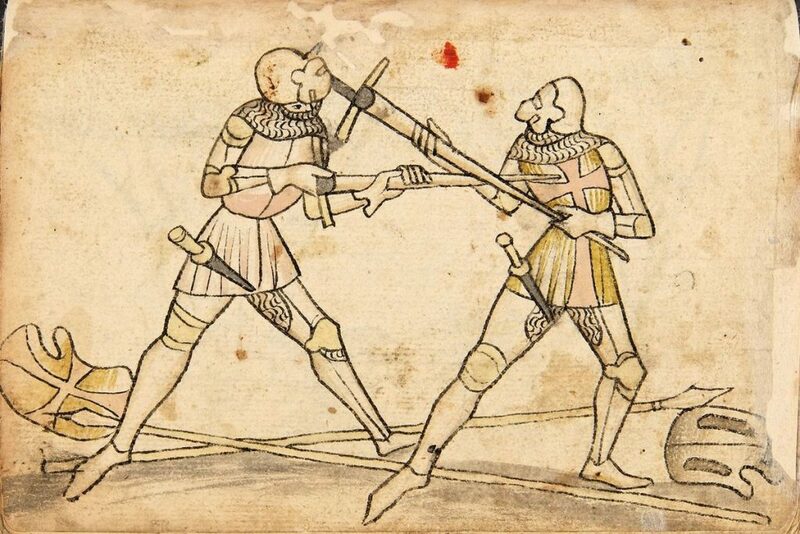 Broadswords were some of the sturdiest medieval weapons, and could be used in many confrontations without breaking easily. Heavy cavalry often charged into battle using a broadsword to cut down opponents. The earliest broadsword found was discovered in a warship called the Mary Rose, from 1545. 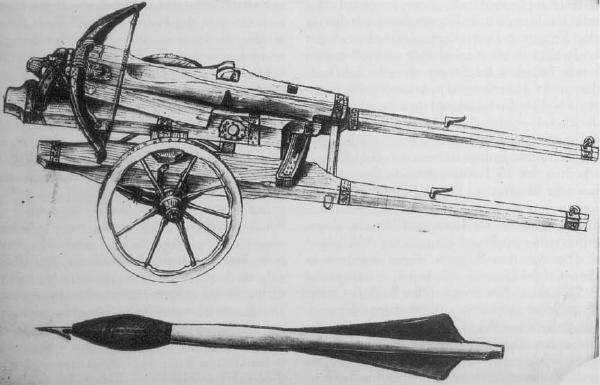 The Lance was used by shock cavalry in Western Europe. Cavalry would charge into the opposing force, with the full force of the horse behind it. By using the strength of a charging horse it managed to exert an enourmous amount of force, and was probably the only weapon which could kill a fully amoured knight in one blow, before the invention of the firearm. The lance became the leading weapon in cavalry charges. 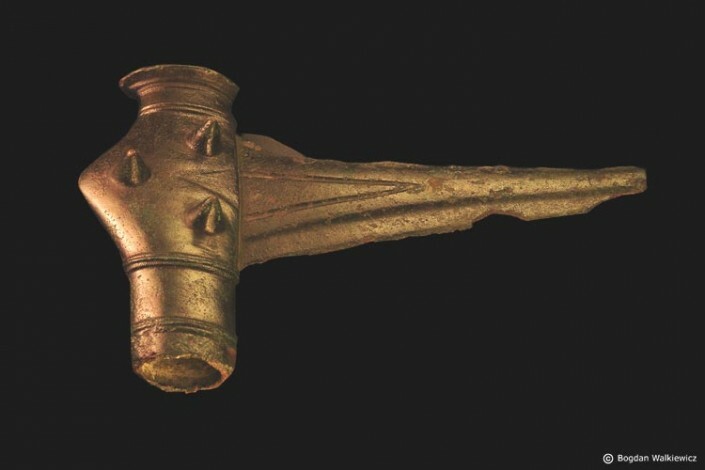 It was an incredibly popular weapon used by cavalry throughout Asia, Europe, North Africa, and the Middle East. Lancers were very effective but also made sure to carry a sword or mace as well. This was because lances were a weapon that could only be used once per engagement, it was an all or nothing attack. The Katana is a controversial sword. Although it’s ability has been greatly exaggerated it does have excellent cutting and stabbing capabilities. The Katana was the weapon of choice for samurai during Feudal Japan. It’s a single edged weapon, with a curved blade. It became one of the most popular medieval weapons in Japan, because of it’s quick draw, which was useful in battles where victory depended on short response times. The draw was so fast that it was even possible for a samurai to cut their enemies while drawing the sword. The Katana became more than just a sword for many samurai, and was seen as the most important weapon a samurai owned. 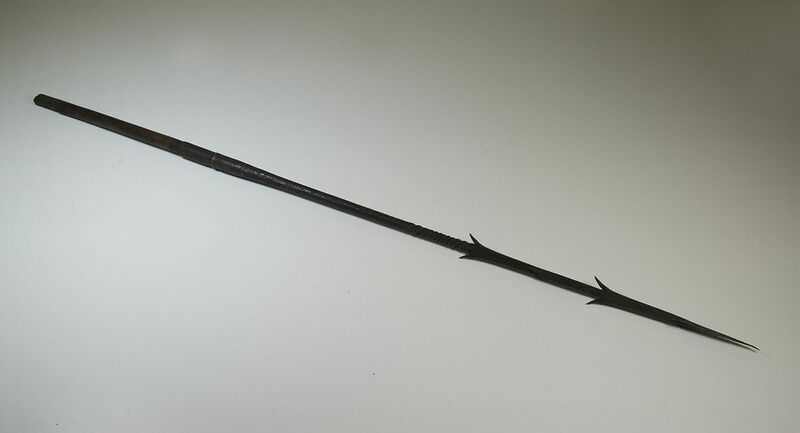 The spear is without a doubt one of the deadliest medieval weapons in history. It was also one of the most commonly used medieval weapon because it was very cheap to make, and easy to use. The spears long reach gives it’s wielder a great advantage in combat. Generally if two people are fighting, one being armed with a spear, and the other being armed with any sort of sword, the spear will most likely win, The spear is something that didn’t take a long time to learn how to use either. It was one of the most common weapons on the battlefield, and even samurai tended to use it more than the Katana. 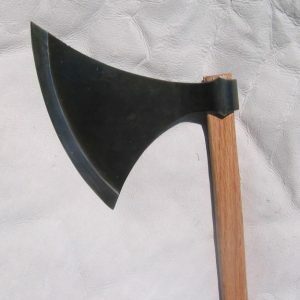 A battle axe is a powerful axe with exceptional cutting power. Due to the shape of the weapon they aren’t good for stabbing, and the small blade means you have to be more accurate than with a sword. Axes are light enough to be used with one hand, and carry a devastating blow. Two handed axes also existed. They were a favourite weapon of the Vikings, who would use it to pull down an opponents shield and then follow up with another blow. Axes were cheaper to use than swords and didn’t require as much skill to wield. One famous example of an axe being used is when King Robert I of Scotland defeated Henry de Bohun in single combat, while wielding an axe. Richard the Lionheart was also often depicted wielding an absurdly large battle axe. The warhammer is one of the most effective medieval weapons for dealing with plate armour. The problem with using a sword against plate armour is that it bounces off easily but a warhammer doesn’t bounce off as easily, and will inflict a lot of damage to whoever it hits, armour or not. When plate armour became commonplace on the battlefield, swords, and battle axes would simply give glancing blows and couldn’t pierce it. Warhammers were developed to counteract this problem. The hammer could easily cause a concussion through even the heaviest of armours. Warriors might even use it to strike the legs of a horse, knocking it over, and making it easier to attack the rider. The longsword was commonly used during the late medieval and renaissance period. Longswords are quick, and versatile swords, capable of dealing deadly thrusts, slices and cuts. The longsword has a large handle so can hold it with two hands, but it’s also known to be used with one hand as well. Paintings depicts people wielding the sword in one hand, while the other hand was able to grapple with the enemy. Using a special technique swordsmen would sometimes grab the handle with one hand, and the blade with the other. This was known as half-swording and it allowed the user to have better control of their blade. The most powerful technique a longsword user can employ is actually to unscrew his pommel and throw it at his opponent, to “end him rightly”. The crossbow is a horizontal bow, which fires bolts instead of arrows. The crossbow is a powerful weapon which is very easy to use. Although the longbow is considered to be superior by some, it requires more skill to use properly, and so the crossbow is deadlier. Traditional bows took an incredibly long time to learn how to use, and many cultures couldn’t manage to raise capable archers. Most archers who were any good were raised to do it from a young age. The crossbow however was something large numbers of people could use without much training. The introduction of the crossbow revolutionised warfare. The Halberd is a long pole weapon used during the 14th and 15th century. 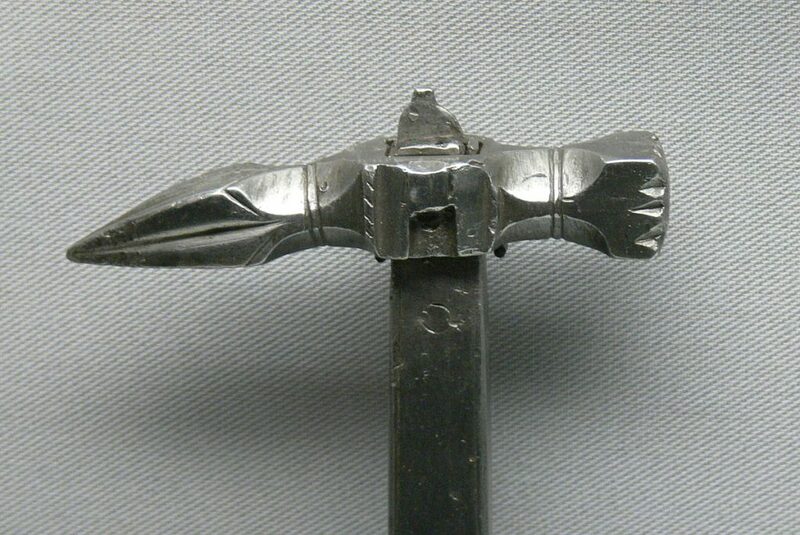 Halberds were normally used by foot solders, who found it was quite effective against mounted opponents. A halberd is a large pole with a series of blades at the end, including an axe blade, a long hook or thorn coming out the back, and a long spike at the top. The Burgundian Wars were ended by a single halberd, when a Swiss peasant used one to kill Charles the Bold, Duke of Burgundy. Halberdiers would often also carry a dagger for more close quarters fighting. The cannon was used in the the 13th century, and were commonly used during the 14th century. 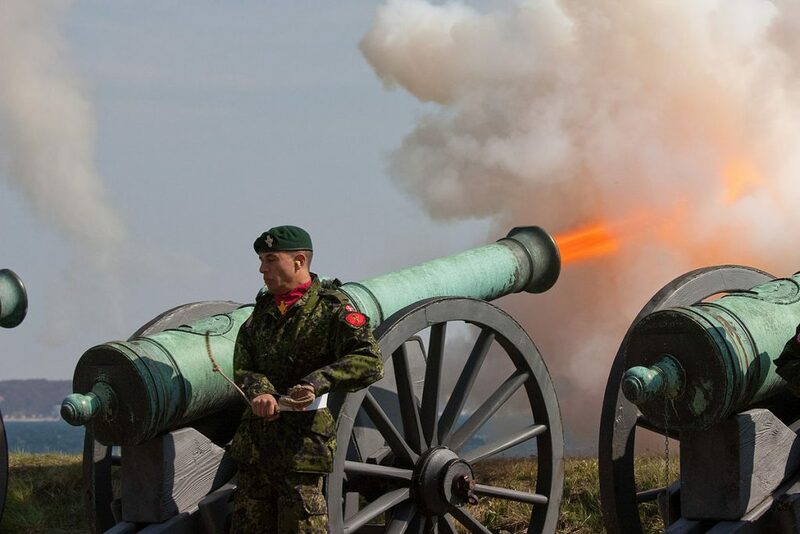 Cannons are a medieval weapon like no other, no other weapon at the time could compare to the sheer power these medieval weapons had. By the end of the 14th century cannons had become an essential part of defending castles and forts. Eventually they were also used on ships to bombard enemy vessels. 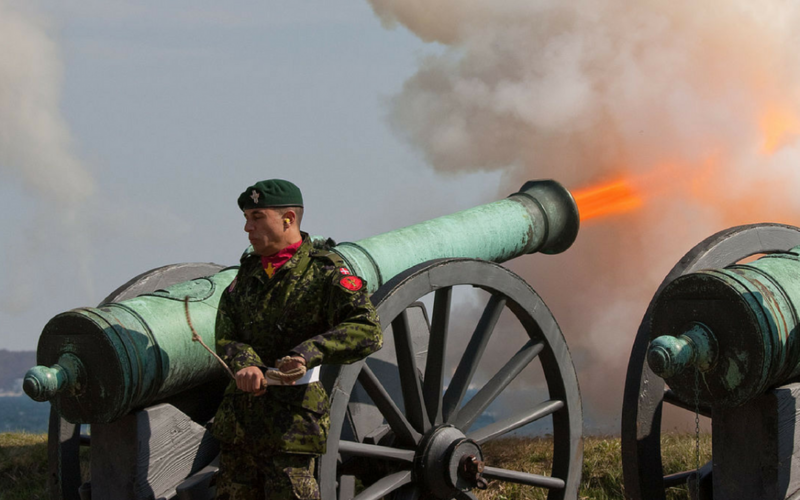 Cannons were effective at destroying large structures, like castles and ships, and also at disrupting enemy formations, and spreading fear. It’s a good general rule that a man with a cannon, is a man not to be messed with.